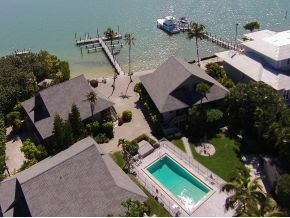 Ventura Captiva is a wonderful bay side community located on Captiva Island, a small enclave of 10 town homes. This 3 bedroom and 3 bath town house offers a loft, screened porch, spacious kitchen and vaulted ceilings. Community offers docks with deep water access, sparkling community pool and is just a short stroll to the beach and "Village" area with shopping, library, chapel and great island restaurants. Sold 6/16/2014 for $750,000.